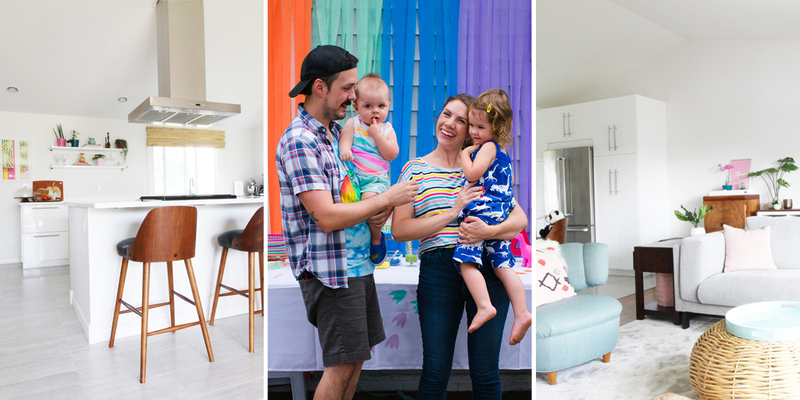 Burritos and Bubbly is a home design and lifestyle blog by Andy and Kerry Bindernagel that focuses on home improvement, design inspiration and life of a modern family. Specializing in a colorful, casual, modern decorating style, our goal is to make home design accessible and fun. 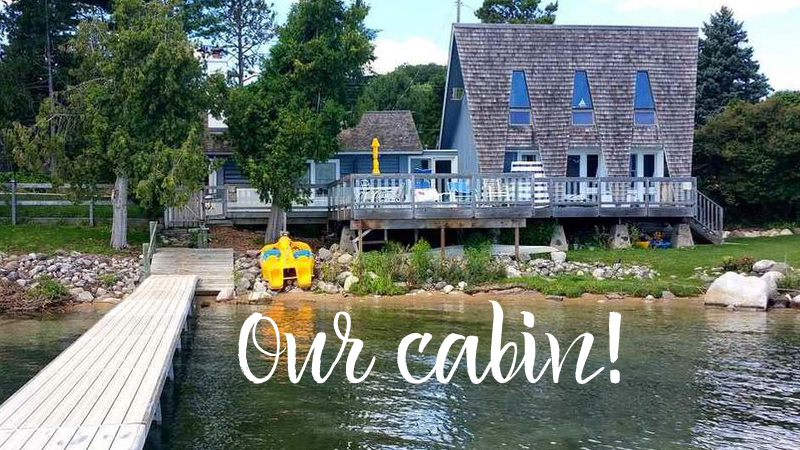 The blog follows our adventures reinventing our 1960s suburban split-level in Cleveland, Ohio, as well as our quirky 1970s lake cabin in Northern Michigan. We believe home improvement goes best with a side of bubbly. And a burrito. We started Burritos and Bubbly in 2010 when we bought our first house, as a way to share our projects with friends and family. That first house was a registered historic site built in 1890, and we knew nothing about home ownership, had no plans to become renovators and didn’t even own power tools. But through necessity (and sheer naivety!) 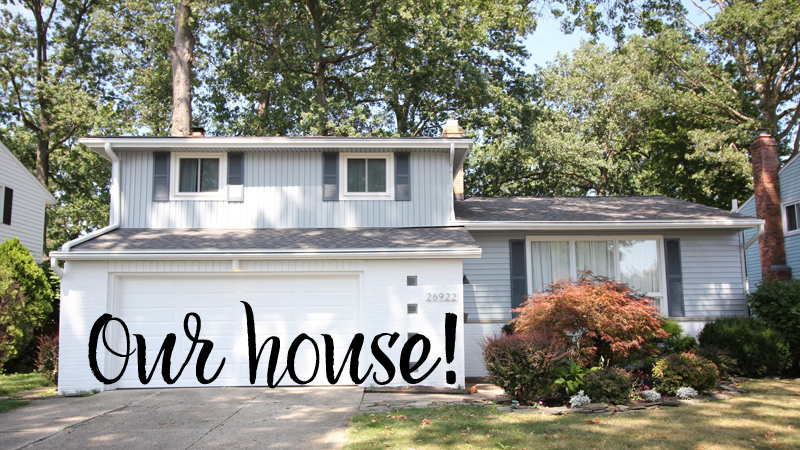 we learned a lot and fell in love with home improvement! Since starting Burritos and Bubbly we have tackled two major kitchen renovations and gutted multiple bathrooms, have bought A LOT of tools and have painted countless rooms. We might also be addicted to stress. We like to say Andy makes things and Kerry makes things pretty. Kerry is constantly brainstorming new project ideas and Andy cringes every time he hears “I have an idea!” But he figures out how to make (most) crazy ideas possible. By day Andy manages online operations for a global news distribution company and Kerry is an assistant wedding coordinator. Our family also includes kiddos Joanna and Oliver, and fur babies Ruby the goldendoodle and Mocha the cat. Click the images below to to see what we’ve been working on at our house and our cabin! Have a look around and say hi! We’re so happy you’re here and are excited to meet you! !